Everything around us is energy and vibration. We truly live in a vibratory Universe. Our body mind and spirit naturally want to move into a direction of balance and harmony, but we are constantly surrounded by too much noise. That can create disharmony in our well-being and we no longer feel at ease. Through the use of mantras, meditation, Yoga, extended walks in nature, healthy nutrition and lots of fresh water we can actively support our body to relax, recharge and rejuvenate. The Healing Power of Sound has been part of Human civilization for thousands of years. Sound has a way of helping us to get into a state of complete and deep relaxation, where the healing of emotional states such as fear, anxiety, loneliness and grief can be soothed and lifted. Also old wounds and traumas can be cleared and released. When we are awake our brain waves are in the “beta” state (normal waking consciousness), with the help of sound we can slow them down to “alpha” (relaxed consciousness) and sometimes even reach “theta” (meditative consciousness). If we reach “delta” (sleep) we can activate the healing powers in our body. 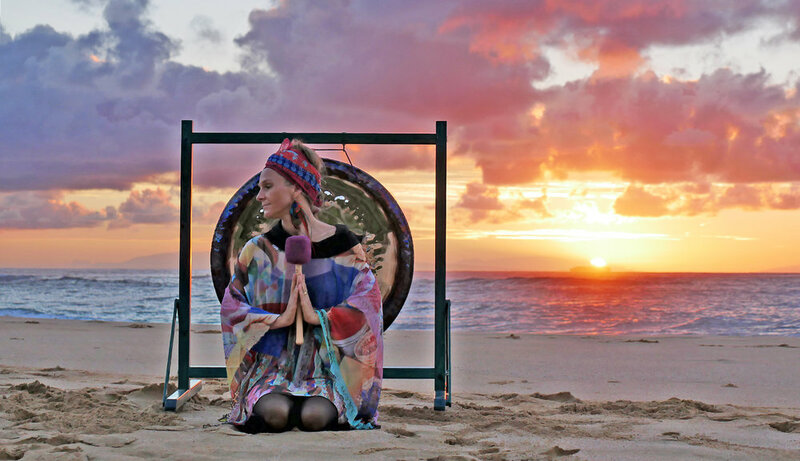 In my SOUL SOUND SESSIONS I am channeling energy through sound, frequency and vibration using my voice, crystal singing bowls, hand-crafted art gongs, ocean drum, chimes and more. In addition I use essential oils and crystals if wanted. Many have described the unique experience of her Sound baths as “deeply relaxing”, “a cosmic journey into the subconscious”, and “cathartic”. 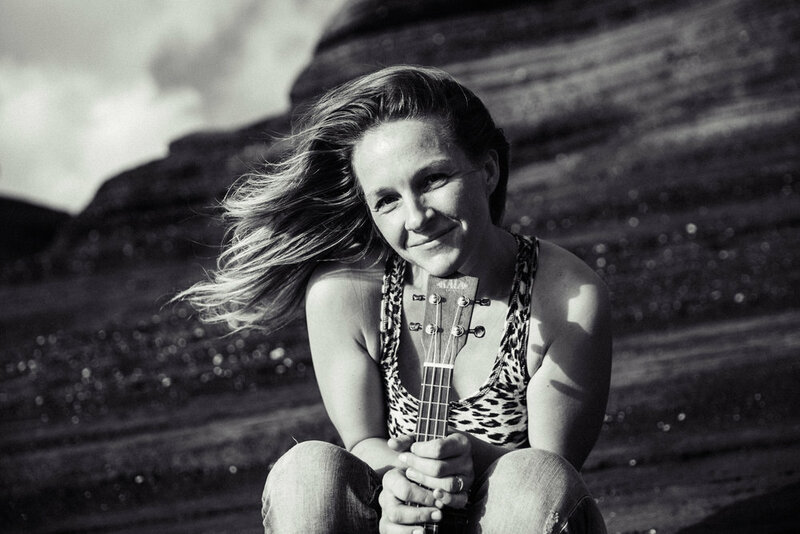 Lucie Lynch is a Singer-Songwriter, Vocal Artist, Sound Healer, and Playwright with an angelic voice and wry sense of humor. 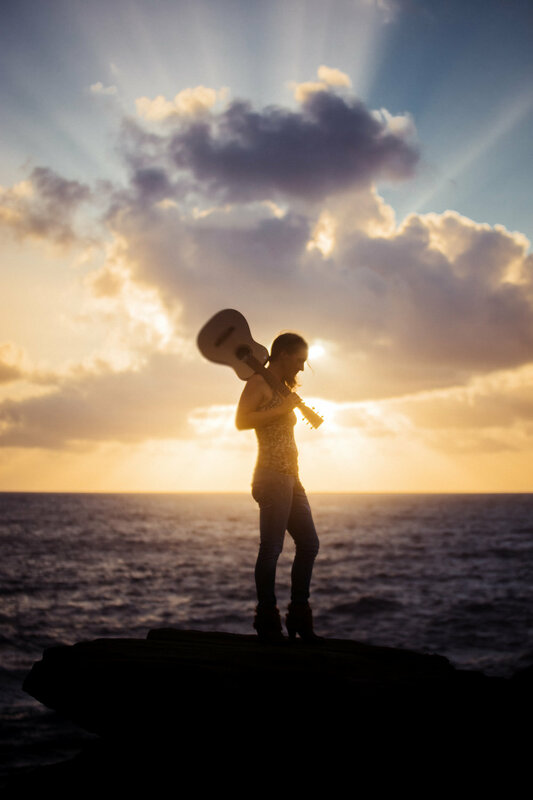 Her musical arts have all been described as "healing", "transformative" and "divine"; this transcendent quality is perhaps best expressed in her most recent Soundbath work. 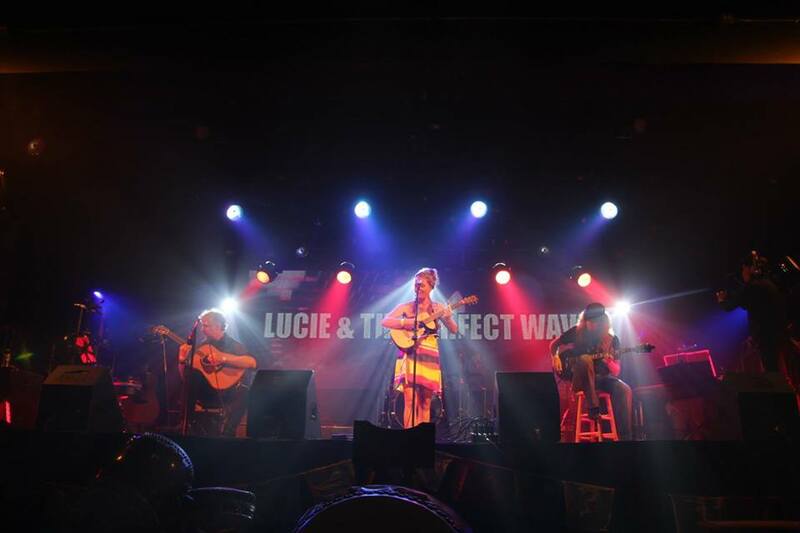 "We are all energy, frequency, and vibration," as Lucie likes to remind us. 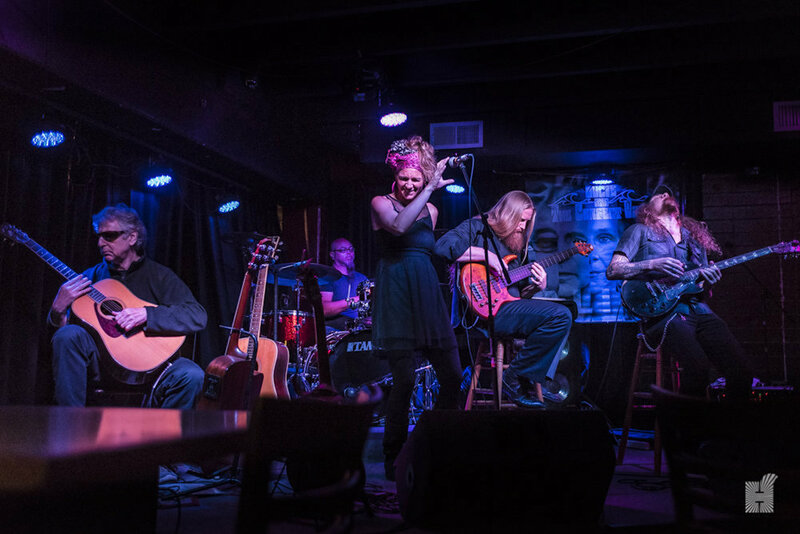 Lucie's singer/songwriter work is influenced by Joni Mitchell, Ben Harper, and Joan Baez, taking audiences on a journey through a world filled with wry observation, laughter, and exploration of the soul. 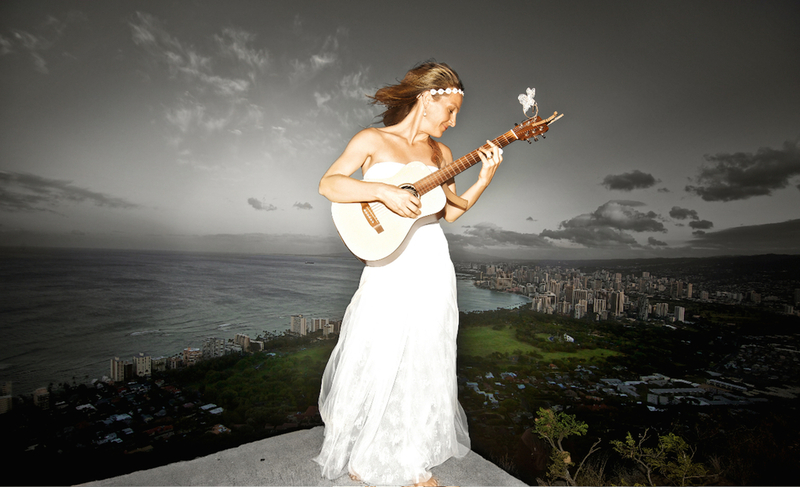 Lucie has opened as a solo artist for international cult band 'Marillion', is a regular many of Hawaii's favorite venues. 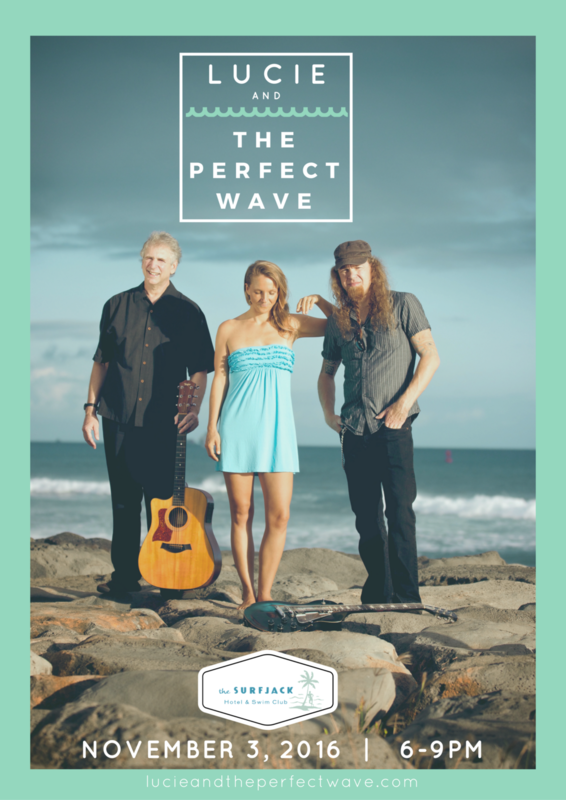 Lucie & The Perfect Wave is unique blend of Canadian slack-key guitarist Michael Tanenbaum's mystical celtic sounds, Swedish heavy-metal guitarist Nick Gertsson's unique melodic voicings, and Lucie's powerful vocals. 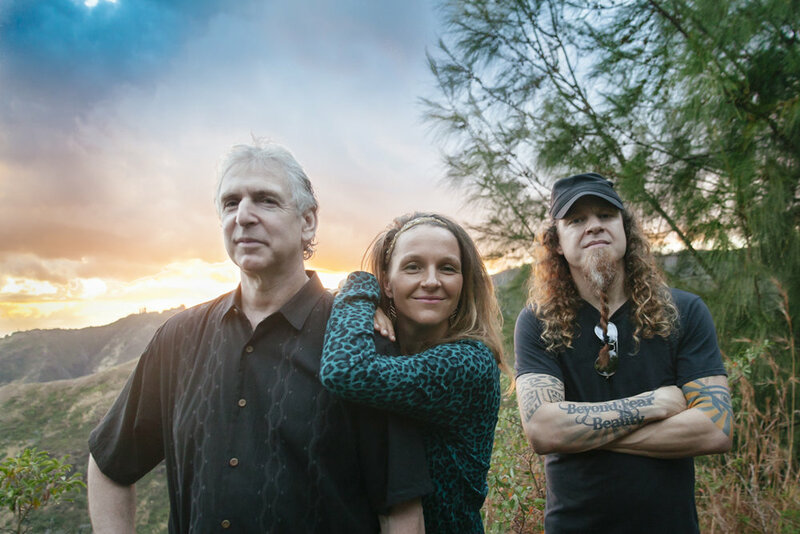 The band released its new EP in June 2018. "Money Talks: But What the Hell is it Saying?" 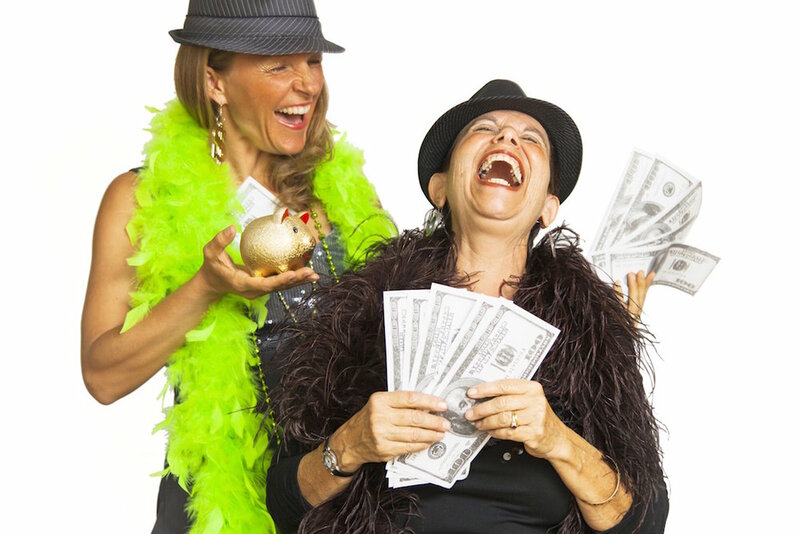 is the award-winning musical about love, money & self-worth that is taking audiences by storm. The two-woman musical show is written, produced & performed by Lucie Lynch and Marcia Zina Mager, featuring the talented Alan Okuye on keys. Lucie studied theatre and musical inGermany at the Schauspielstudio (University of Performing Arts) in Hamburg, Germany. She wrote, produced & performed the one-woman musical called 'Gabrielle's Universe' for several years throughout Germany (the story of a neurotic secretary who marries her typewriter in search of true love), before living out of her backpack as a Travelpoet, while traveling the world. She currently lives in Honolulu with her black labrador named Bouncer.